Roasting coffee in-store is key to our success. 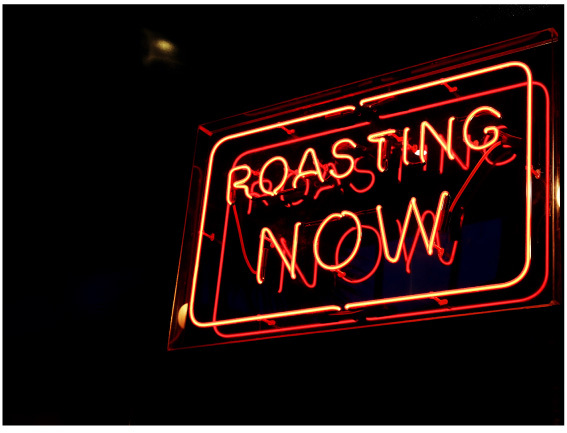 In-store roasting gives us ultimate control over quality and flavour and ensures our coffee is always fresh. Our roasters are experienced coffee tasters and specialise in analysing the sensory aspects of coffee including: flavour, aroma, body, sweetness, balance and aftertaste. Over the years, they’ve had plenty of practice! This comes in handy when maintaining consistency of the flavour profiles of our coffee that our customers love so much. We love educating our customers on the roasting process. WHAT MAKES A GOOD COFFEE ROASTER? Having an in-depth knowledge of different coffee varietals, of where they’re grown, how they’re processed and how they should taste when they’re at their optimal is something that our roasters specialise in. Many roasters really only get to experiment once they receive the beans and others are taught how to follow a formula. Because Coffee Hit only roasts coffee classed as specialty, we have full traceability of exactly where our coffee comes from and how it’s been processed. Our roasting team know how to combine the various bean types to unify the best flavour attributes of each one into a complete, great tasting blend. As you can imagine, because coffee beans are an agricultural product there may be variances from time to time, perhaps due to weather conditions and climate. This is where the tasting skills of our roasters really come to shine because they ensure that our customers continue to experience the same great tasting coffee blend they’ve become accustomed to. At times they adjust the ratio and coffee beans to achieve the same flavour profile. They also have fun experimenting. They test various roasting profiles on our single originscoffees as they become available. They play with roasting times, temperatures, test whether a medium or dark roast is better suited to a particular varietal and more. It is no surprise that our house blend coffee performs beautifully as a milk based beverage. The majority of people order milk based coffee so the blend was deliberately designed with this in mind. Many blends tend to be fine as an espresso, but once you start to combine them with milk the coffee flavour tends to ‘wash out’. Needless to say, our coffee blend is also excellent as an espresso! The single origins we offer are something special that are only available for a short time and they provide an alternative for our regulars or for those who simply want to try limited editions specialty coffees, with some unique flavour compositions.